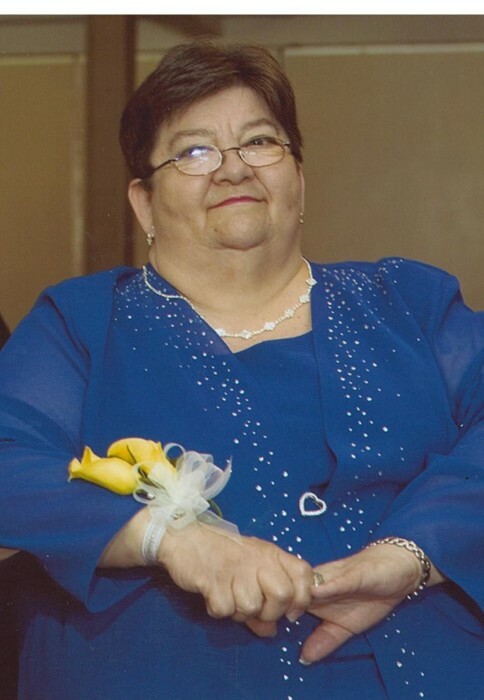 Leominster - Carole E. (Lambert) Lambert, 74, of Leominster, died June 19, 2018, in UMass Memorial Medical Center, Worcester, with her family by her side, after being stricken ill. She was born January 30, 1944, in Gardner, MA, daughter of the late Henry and Elizabeth Lambert. Carole worked as a clerk with the DeCarolis Insurance Agency. She is survived by her husband of 51 years, Edward A. Lambert Sr., three sons; Edward A. Lambert Jr., Robert Lambert and his wife Monique, Michael Lambert and his fiancee Alice Sieberg, grandchildren; Nikole, Autumn, and Colton, one sister Harriet Bundza, a sister-in-law Bernice Lambert and many nieces and nephews. Besides her parents, Carole was predeceased by a brother, Henry Joe Lambert. Carole's funeral will be held Wednesday, June 27, 2018, with a Mass of Christian Burial at 10:00 a.m. in Holy Family of Nazareth Church, 750 Union St., Leominster. Burial will follow in St. Cecilia's Cemetery. Calling hours will be held Tuesday, June 26th, from 6:00 - 8:00 p.m. in Wright-Roy Funeral Home, Inc., 109 West St., Leominster. In lieu of flowers, memorial donations in Carole's memory may be made to: Holy Family of Nazareth Mortgage Fund, 750 Union St., Leominster, MA 01453, or to Mass. Lions Eye Research.